Nonprofit organization PLAMIENOK provides professionally guaranteed palliative care for children with life-limiting and threatening illness in their own environment, in the form of home visits by doctors and nurses who are professionally monitoring the health of children, indicating and subsequently implementing the symptom management (treatment of pain, breathlessness and other difficulties), which helps to alleviate the suffering of dying children and enhance the quality of their lives. The organization also lends the necessary instrumental equipment which enables the stay of these children in their homes. The aim of Pro Vida Foundation is to manage the property for public welfare purposes in the form of venture philanthropy which focuses on solving serious social problems while using the principles typical for business and entrepreneurship. The mission of the PRO VIDA Foundation is to foster society integration of those who are less fortunate, less healthy and less loved, were born into difficult social conditions or excluded from society due to inadequate education, health disability or other social disadvantages. Foundation creates the environment for the incubation of innovative solutions for social and societal issues and supports the activities of those individuals and organizations which combine the principles of philanthropy and entrepreneurship, and at the same time are able to put together two seemingly contradictory themes: economic rationality with pursuing of socially beneficial objectives. Civic association Pro Vida helps socially disadvantaged people in their integration into society in order to live as much fulfilled life as possible and to have the opportunity for successful social migration. In particular, Pro Vida aims to help children growing up in foster care, especially in institutional care, and to such institutions themselves, i.e. the entities providing foster care services. 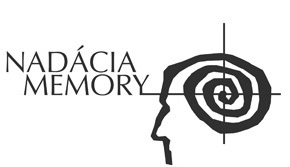 The purpose of MEMORY Foundation is to help people with Alzheimer’s disease and their families by support of such projects which address the problem called Alzheimer’s disease. MEMORY is like an extended hand of those who want to give financial assistance to those who need and expect some help. The Foundation provides necessary professional and social assistance to the families of persons with Alzheimer’s disease, and increases the availability of services for them. The Foundation also provides education for professionals involved in treatment of patients with Alzheimer’s disease and raises public awareness of the disease. 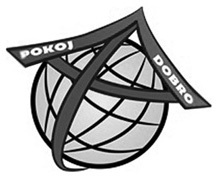 Civic association POKOJ A DOBRO – aid for refugees, has been founded in order to help alleviate the suffering of refugees. Its mission is to create appropriate conditions, so that those who express their desire to live in Slovakia and who are able to integrate into our society may become its real members. Thanks to civic association POKOJ A DOBRO – aid for refugees, 149 Assyrian Christians have found their new home in Slovakia.